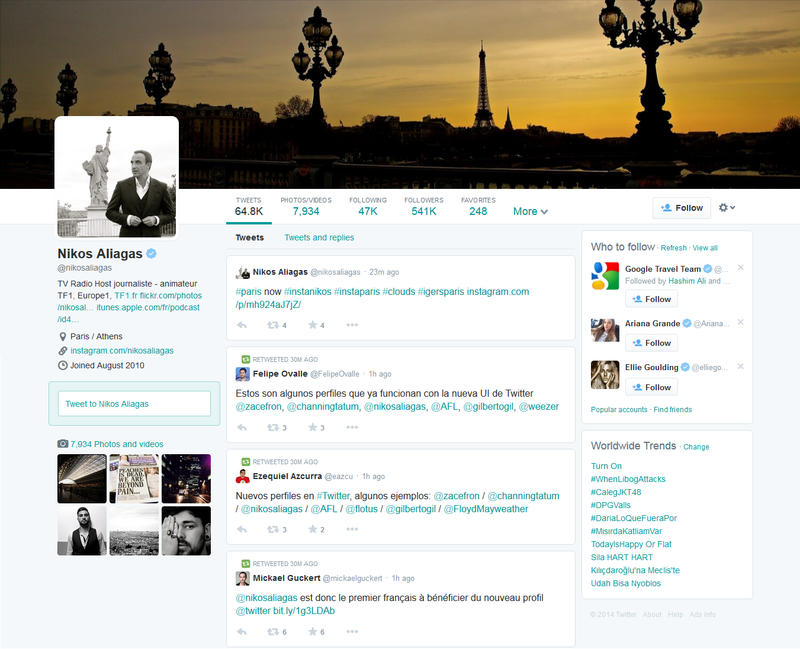 Twitter Profile Redesign (for Web) Coming Soon – What’s New! You can have a look at any of these profiles to see what’s coming. Cover photo– before: appeared in background while user bio and profile picture appeared on top of it. – after: full width Twitter cover photo – bigger in size, user bio and profile picture no longer appear on it – giving it a clean look much like Facebook. User timelines – Tweets, Photos / Videos, Following, Followers, Favorites, More – click on any of those and requested info will be shown in the timeline. This info currently appears on the left side, alongside media shared by the user. But that’s about to change (for good). In a nutshell, the profile redesign will introduce a more consistent and sleek look. All the user info appears on the left side. Helpful info for viewer appears on the right side and timeline of the profile you are viewing appears in the middle – with an option to choose which timeline you want to see. Got to say it will improve the user experience a great deal.